Cleaning and maintaining your above ground pool will not only ensure the health and wellbeing of you and your family, but it will also prolong the life of your pool. A lot of people hate pool maintenance tasks, but if you neglect your pool, then you will not enjoy swimming in sparkling clean water. 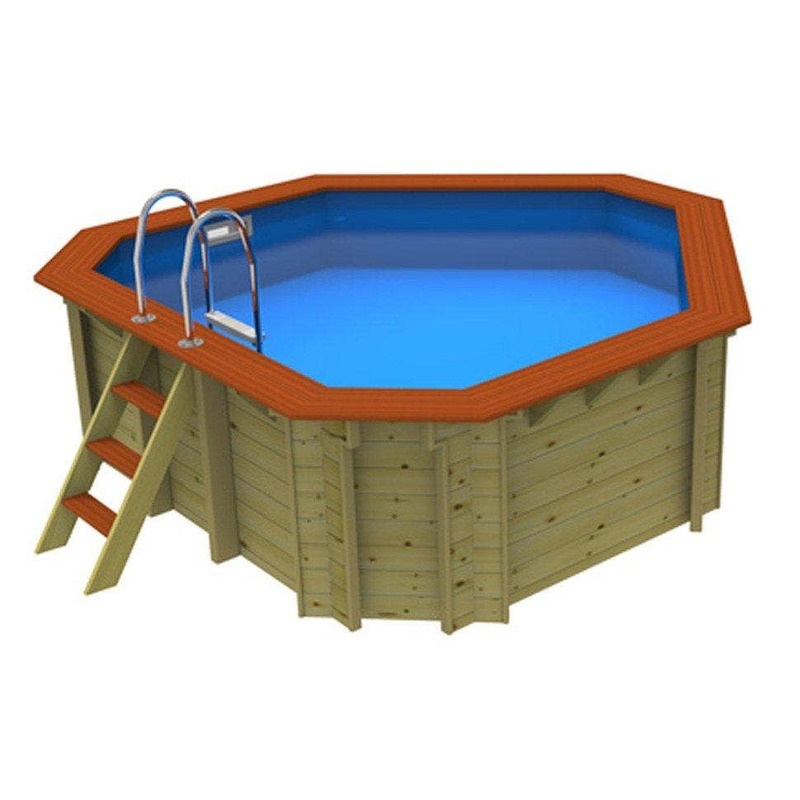 We sell lots of different maintenance equipment that will ensure you have crystal clear water that you can enjoy swimming in. Filtering your pool is a vital part of the maintenance. The filtration process will get rid of all dirt and debris from the pool. At sunshine pools we offer two different types of filtration; sand filter pumps and cartridge filter pumps. The centre of the circulation system is the pump. It pumps water out of a pool and through a filter cartridge, trapping grime and sanitizing dirty water. It moves water from the pool and sends it through the filter for removal of any dust, dirt and debris prior to sending it back to the pool. 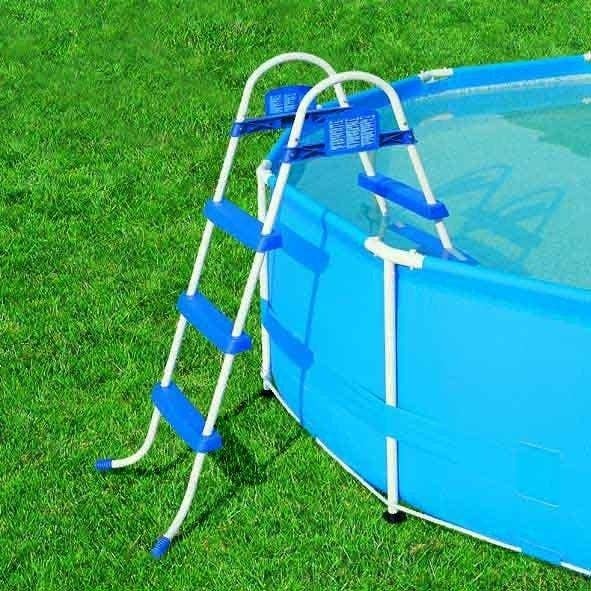 The filter pump comes with two hoses which are plugged into different access points on the swimming pool and connected to an inlet or outlet on the filter pump. Clamps are used to secure the hoses and prevent them coming loose. Water is pumped out through the inlet hose, cleaned by the filter cartridge and pumped back into the pool via the outlet hose. These filters have a cartridge inside that can be removed and washed using a garden hose. Eventually, the cartridge will need to be replaced to ensure that the filter is working effectively. These should be replaced every couple of weeks and will provide excellent water filtration. Excessive use of chemicals will have negative effects on your pool, such as discolouration. 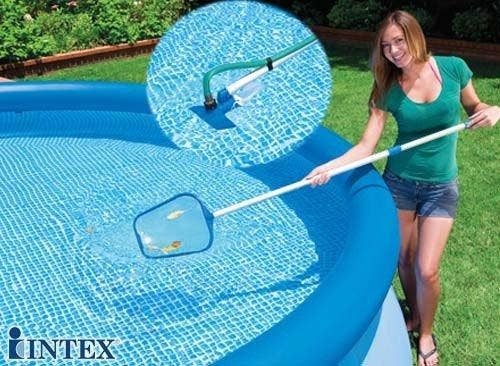 To prevent this, Sunshine pools are offering you varying products that work in conjunction with pool chemicals and filter pumps to ensure clean water to swim and bathe in, such as; vacuums and brushes to clean the walls and floor of your pool and skimmers to remove leaves and floating debris. Pool maintenance should be directly related to how often the pool is used so if you use your pool regularly, then you should invest in a good skimmer. A skimmer is a rake that’s used to fish out objects from the water. Skimming out floating debris such as leaves and dead insects from the water and emptying it is a process that takes less than two minutes. If you have brushes and trees that are nearby, consider trimming them to prevent more work for yourself. The walls and floor should be brushed and vacuumed once a week. Even if you use an automatic above ground pool cleaner, brushing once a week is a must. Testing your pool 2-3 times a week during the summer is important to maintain adequate water balance and sanitizer levels plus to insure swimmer comfort. Test strips are a quick way to test the pool for adequate sanitizer levels as well as pH and total alkalinity. Proper testing also ensures that calcium levels are maintained and that there are no metals present in the pool water. To keep your pool water clean and safe, you will need to add chemicals on a regular basis. 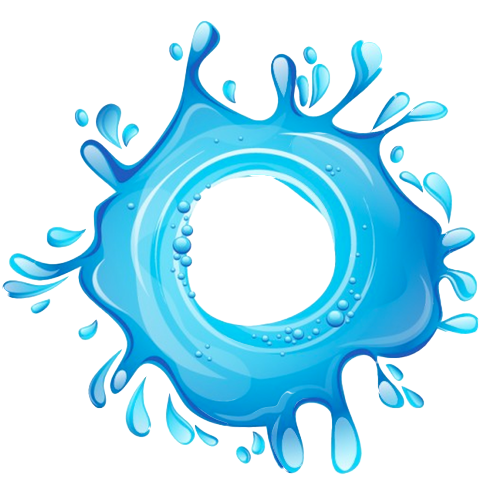 The most commonly used are chlorine, algaecide and water balancing chemicals. Chlorine is the most important chemical when looking after your pool or spa as it is responsible for killing all the bacteria or viruses in the water, for our customers who do not wish to use chlorine, bromine is the perfect alternative. 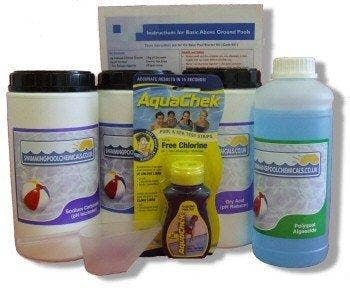 Adding algaecide is another preventative measure which will help prevent all types of algae from getting a foothold in your pool, you can use algaecide weekly to discourage algae growth. PH is the measure of acid and base in the pool water. The pH of the pool should be tested and adjusted. If the pH of the pool water drifts to the acid side of the scale, corrosion of pool surfaces and equipment can occur. If the pH of the pool water drifts to the base side - scaling, deposits, and cloudy water can occur. Use a pH increaser to increase the pH of the pool. At 8.5, chlorine is only about 10% active. At 7.0, chlorine is about 73% active. If you maintain pH around 7.5, the chlorine will be 50-60% active. Keeping the pH in check will allow you to use the full potential of the chlorine that is already in the pool. To lower the pH of the pool, use a pH decreaser. 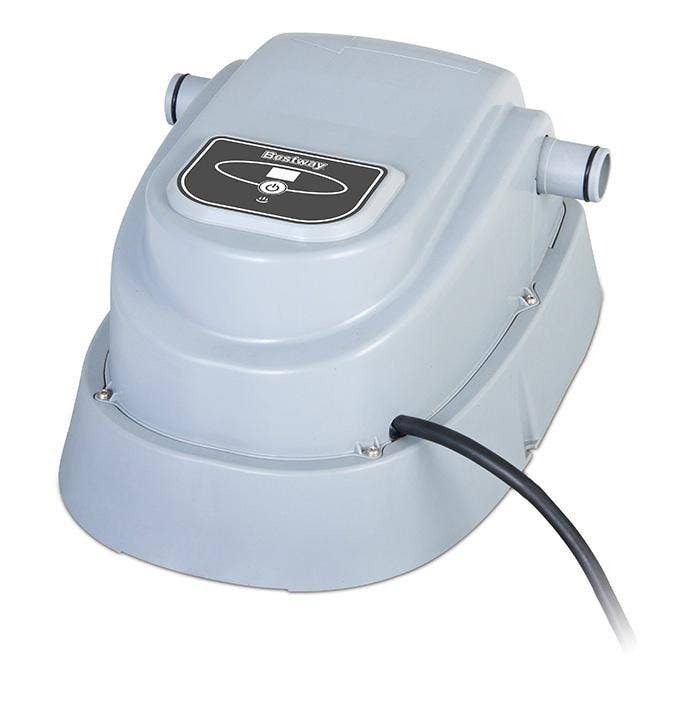 The floating chemical dispenser is perfect for pool owners who have limited time to sort out their swimming pool chemical levels but want to maintain a happy, healthy swimming environment. Pool chemical dispensers, will use chlorine or bromine tablets to help sanitize your pool water. They work by slowly and automatically dispersing chlorine and bromine into your pool so that the pool water remains free of bacteria and cloudlessly sparkles. Most of the pool chemical dispensers will let you configure the rate at which the chemical will dissolve- enabling you to regulate how much chlorine or bromine you add to your pool at a time. If you do not like the idea of swimming around in chemicals then why not use saltwater instead. 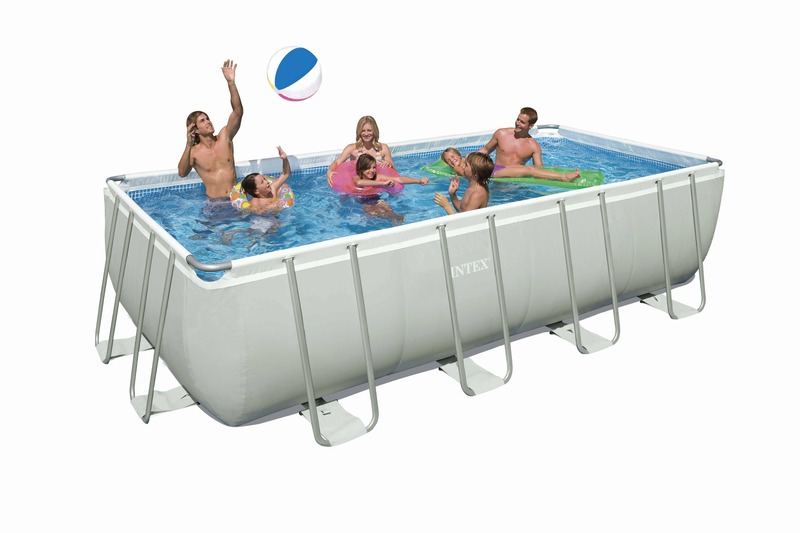 A Saltwater Pool System will give you fresh, clean water with almost no effort or maintenance. Its automated system uses inexpensive, all-natural salt to constantly maintain your pool's water in a fresh, clean, sparkling condition and, because the salt does not evaporate, you won't have to continually add salt as you do with chlorine. 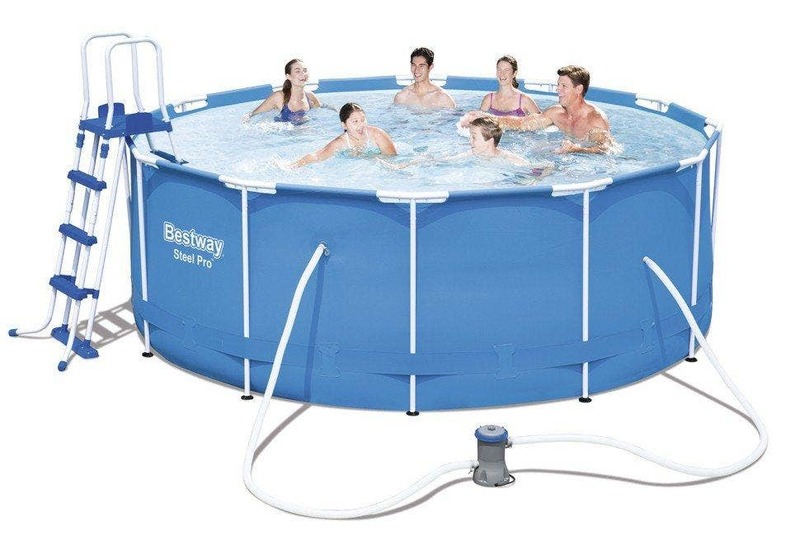 Salt water pools do rely on chlorine – but you don’t have to add any yourself. The way it works is, the control box that is used in a salt water setup charges the salt that is added to the water. It then splits into its two main components: sodium and chloride. The chloride is rendered into a gas, which dissolves and sanitises the pool water. Does it feel like sea water? Not at all! Due to the low salt level (one-tenth as much as sea saltwater), it leaves your pool water feeling like fresh, clean, soft water, which also means that your skin, eyes and clothes feel fresh and clean! So, when you want to spend more time enjoying your pool and less time and money maintaining it simply install as directed and the Saltwater System will do the rest.